After a very well-attended GUKPT Luton a month ago, GUKPT Blackpool is now under way. 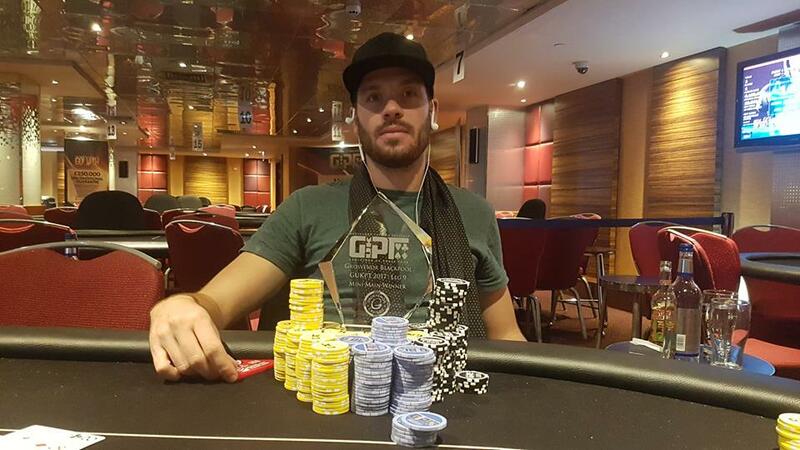 For many GUKPT fans – including Grosvenor Ambassador Joe Beevers – this is their favourite event of the year! GUKPT Blackpool is on until November 12 so bag your accommodation now. We are the Official Travel Partner for the GUKPT tour and have lots of options for Blackpool. With Day 1a kicking off tomorrow, British pro Ben Winsor already has something to celebrate after taking down the £20,000 guarantee Mini Main last night. He beat a 307-entry field to snag the top prize of £17,090. Among the others who cashed were Victor Ilyukhin and James Bullimore. Grosvenor Ambassador Katie Swift is through to Day 2 of the NLH £300 + £30 event with 78,600. There were 85 entries in total, generating a £26,100 prize pool. Today’s events including a Main Event satellites and £200 + £20 8-max starting at 7.30pm. Blackpool is the final leg of the 2017 tour before the GUKPT Grand Final takes place in London later this month. British pro Tom Middleton won the last GUKPT Blackpool Main Event for £56,255 after a three-way chop with Tom Hall and Richard Kellett. There were 251 entries last year, generating a total prize pool of €251,000. GUKPT Blackpool features a £200k guarantee Main Event plus a bunch of side events. GUKPT Passport winner Andy Hills is back in the city after a fantastic runner-up finish here during the Grosvenor Casino 25/25 Series in September. The GUKPT has been celebrating its 11th season in 2017 and is looking forward to the GUKPT Grand Final which is taking place November 19-26 at the Poker Room above the Grosvenor Victoria Casino in London’s Edgware Road.